Home Editor's Pick Is Haute Couture Still Relevant? Is Haute Couture Still Relevant? 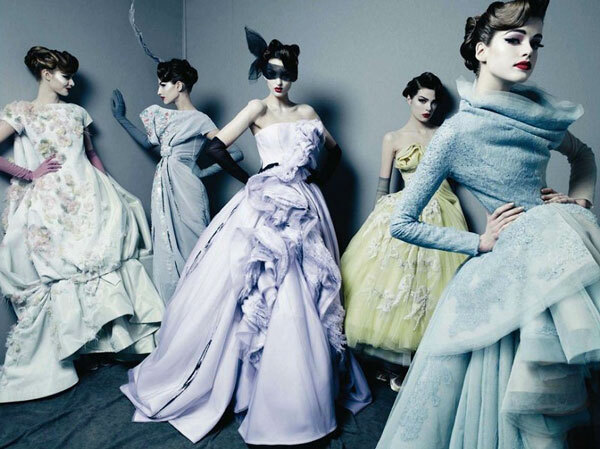 A quick crash course on fashion’s most elusive and luxurious, Haute Couture. Haute couture, the French term for high-dressmaking, refers to the elusive world within the fashion industry of exclusive custom handmade clothing for clients in the upper tax brackets. Haute couture: the name itself makes one think of everything luxury, regal, and over-the-top outrageous and dramatic; with a full blown dress studded with pearls and crystals easily costing as much as a Rolls-Royce. Made with the highest quality of materials available and given the most attention to detail, haute couture is a historical art that only the most experienced and capable artisans in the fashion industry can complete twice a year during Haute Couture Fashion Week. Time consuming and expensive with hush-hush budgets, couture relies on the relationship and communication between a client and the house (designer) to specifically tailor the needs and wants for a unique haute couture piece of clothing. The art of haute couture is so important to the industry, especially in France, that the term itself has been protected by the Chambre de commerce et d’industrie de Paris and oversees which fashion houses meet the eligibility to be called a ‘haute couture house.’ Entry into the world of couture is very strict, with the Chambre putting forth the following guidelines of having a Paris-based atelier with more than twenty staff and being able to showcase, at the minimum, fifty or more original designs every fashion week in conjunction with the general Ready-to-Wear seasons. It’s no wonder that there are very few designers who are willing to meet up to this strict and tedious schedule. 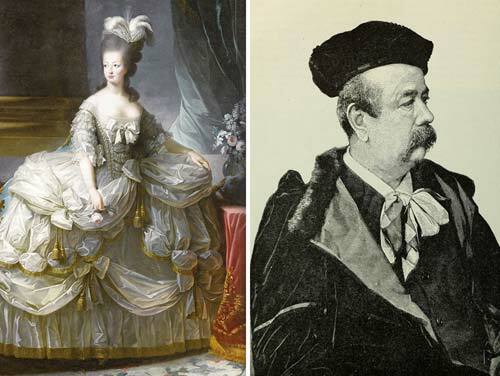 The humble beginnings of haute couture are dated back around the 1700s with Rose Bertin, designer for Marie Antoinette, bringing creativity and fashion into royalty and European culture. Charles Frederick Worth, however is considered the founding father of haute couture from the 1900s, by revolutionising the business model of fashion with exclusive client designs through House of Worth, his fashion house. He became such a success with the his French and European fans that many haute couture designers today, including Chanel, Lanvin, Schiaparelli, and Dior have followed in his footsteps with not only the concept of haute couture business for luxury expansion, but also the use of outrageous and lavish fabrics and materials to reflect the affluent lifestyle that French royalty showed through their clothing. Haute couture season in the fashion industry is a way for the very few who have been allowed to join the Chambre to show off their limitless ideas to the world with no budget or guidelines to adhere too. It’s also an expression to show the financial power of a house, with so many of the haute couture pieces being made costing up to at six-figures. In short, while the fashion industry itself is already nestling in the comforts of what exclusivity and luxury is, haute couture is the crème de la crème of the industry where fashion’s most successful and richest show their creations and power within the rankings. While haute couture as its own area of exclusiveness in the industry is keeping afloat, there are many both within and outside of who question the value and impact of the art – what is the point of haute couture if few of the masses are willing to spend six-figures on something they’ll wear once? Given that most houses make their profits through bags, accessories, perfume, cosmetics, and even fast-fashion level collaborations (see: Alexander Wang x HM and Jean Paul Gaultier for Target), much debate goes on about the justification of haute couture as unfair labouring of the artisans against the artistic value of time, patience, and historical bearing. Believe it or not, in this day and age of social media and the conscious-aware consumers (with much regard to the global super-rich), haute couture really does sell – and it sells well. It was seen in Spring/Summer 2014 that after Haute Couture Week, Chanel and Valentino’s sales skyrocketed with around 30% in growth. While there are few who can afford such pocket-draining pieces from haute couture, they’re still able to thrive off the next best thing to exclusivity – the ready-to-wear and more commercial produces from the houses. With celebrities leading the trends to the next big thing in fashion, it’s no wonder that Haute Couture is still making enough making to continue its magical reign every season. While the fashion industry sells individualism and self-expression through clothing and designer bags, haute couture, with its grand history and extravagant bearing, sells aspiration and a dream of affluent and a fairytale in the 21st century. With offerings of distinction in design and technique that only years worth of experience could create with a compelling force, it’s no wonder that so haute couture continues to exist in this day and age through the paradox of modernising fashion trends for consumerism. Haute couture persists in providing us with a paragon of the most beautiful clothing that can be envisioned and made in any time, and anyone would want to feel like royalty in one of these pieces. If you had the money, would you spend it on haute couture? Next articleTeeth Are More Important than You Think!